Major League Baseball suspended the Dodgers' Yasiel Puig for his actions in Tuesday's game against the Giants. 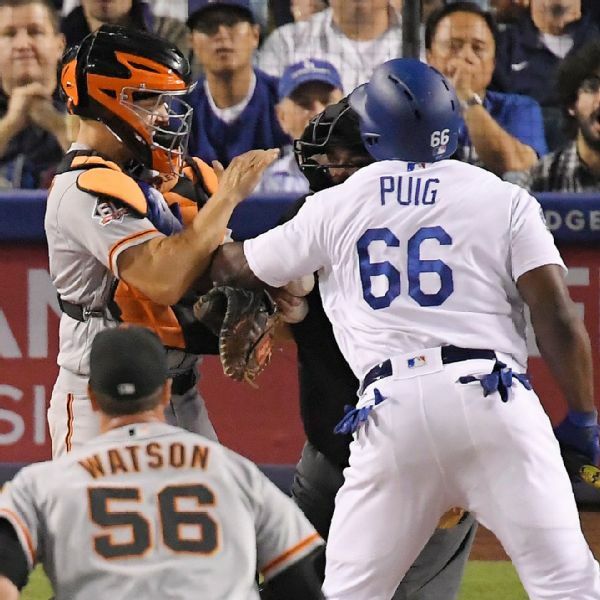 Puig and the Giants' Nick Hundley were also fined. 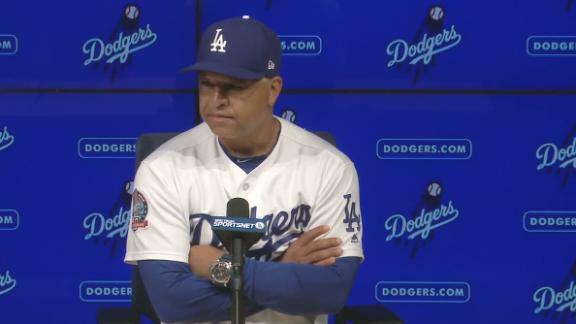 Dave Roberts says that Yasiel Puig was frustrated for swinging at a pitch and Nick Hundley remarked back thinking it was directed to the Giants. 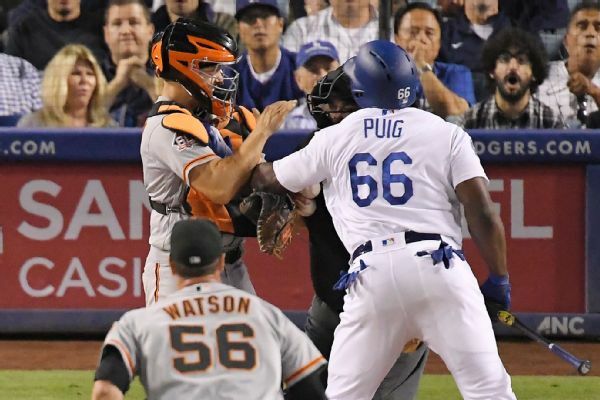 Dodgers outfielder Yasiel Puig and Giants catcher Nick Hundley got into a heated exchange during the seventh inning Tuesday night, ultimately leading to the benches clearing and both players being ejected. 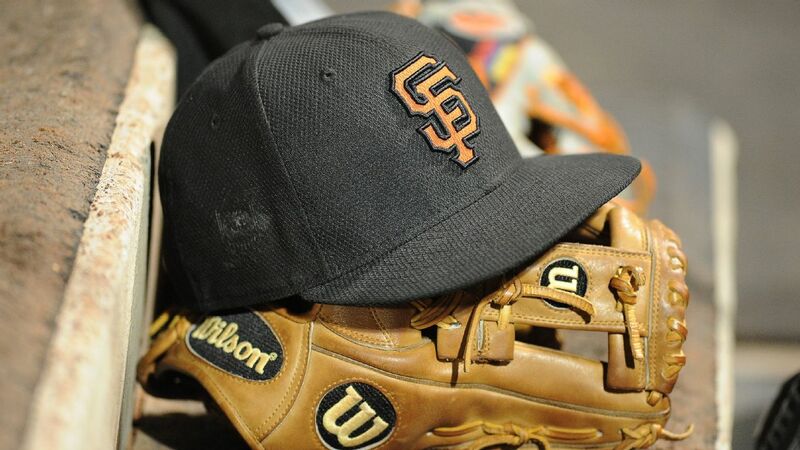 Giants catcher Buster Posey left Friday night's game at Arizona an inning after taking a foul tip off his mask. 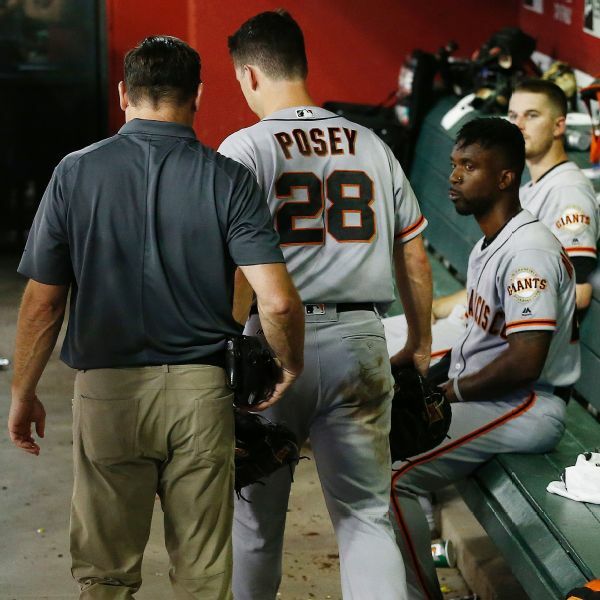 Posey singled in the third inning but left for a pinch runner after being tended to by a trainer and first base coach Jose Alguacil. 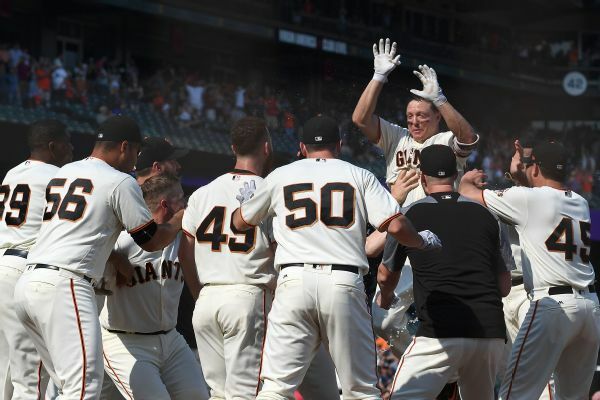 Catcher Nick Hundley has agreed to a $2.5 million, one-year contract to remain with the San Francisco Giants. 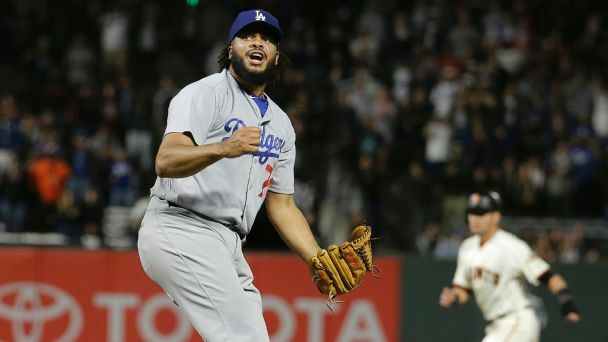 Look up the word "ownage" in the dictionary, and you probably won't see a photo of Kenley Jansen whiffing Nick Hundley. 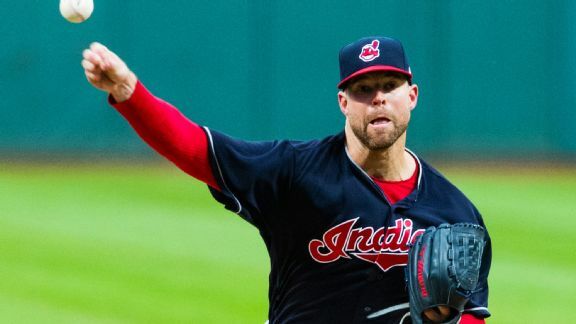 Here's why you probably should.